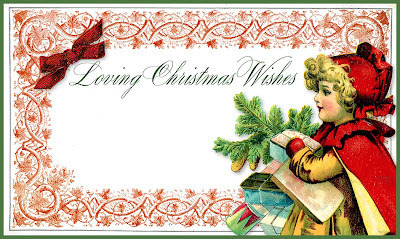 This week’s inspiration for your art card or tag are the colors red and green, the traditional Christmas colors. Think red holly berries, green pine needles, red mittens, green ornaments, red cardinals, green wreaths, red sleighs…. I made a red and green gift tag in two versions. Please feel free to print it out for your own personal use as a gift tag or gift label. I think it would look pretty embellished with a little glitter and more ribbon. What did the colors red and green inspire you to create? I’d love you to share your card or tag. Link up your blog post below. Not sure what I mean by card or tag? Read HERE. Posted in freebie, printable and tagged art, art blog hop, art challenge, artist, artist blog hop, Artists Card and Tag Tuesdays, artwork, blog hop, free, gift tag, tag. What a great idea! Thank you for the permission to use this beautiful tag! AND I was in Target yesterday and saw – gasp – Halloween stuff!! So your Christmas tags are not too far off . . . it will be here before we know it! Wow,Halloween stuff already! It'll be here before we know it! You're welcome Kristin and thanks again for all the fun with SOC.